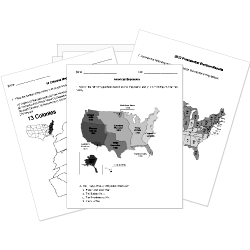 You can create printable tests and worksheets from these Grade 2 Civil Rights questions! Select one or more questions using the checkboxes above each question. Then click the add selected questions to a test button before moving to another page. What sport did Jackie Robinson play? What was the court case that ended the separation of African Americans and whites in schools? What did Thurgood Marshall do? Dr. Martin Luther King, Jr. went to college to become which of the following? separate people based on religion, race, or another reason. In 1954 Martin Luther King became a great football player. What is the name of Dr. Martin Luther King, Jr.'s famous speech? "I want things to change"
"I have to go to sleep"
What was Sojourner Truth's real name? On what date was Dr. Martin Luther King assassinated? What African American baseball player broke the color barrier in Major League Baseball? African Americans and caucasians (whites) learning in the same classroom. Having different water fountains for African Americans and caucasians (whites). Everyone living in the same neighborhood regardless of the color of their skin is. How did Dr. Martin Luther King, Jr. fight for equal rights for African Americans? Organizing non-violent marches and a bus boycott. Getting tanks and shooting white people. Painting on the walls of the city. How old was Sojourner Truth when she got sold, and for how much? What year was Sojourner Truth born?